Los Angeles is losing jobs to robots, and the trend is going to continue to impact more residents in our region. 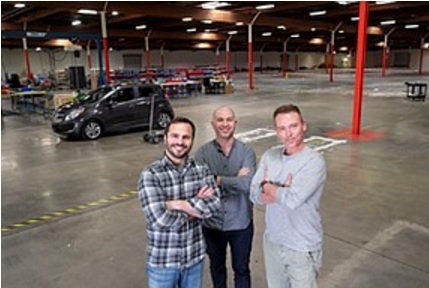 In light of this sweeping economic change, LAEDC is addressing the question, “How will we create the well-paying jobs of the future?” With widespread adoption of robots in local manufacturing, trade & logistics, and other industries, the region awaits the next wave of automation which is likely to impact driving jobs, retail, food prep, and lower-skill jobs that are repetitive. 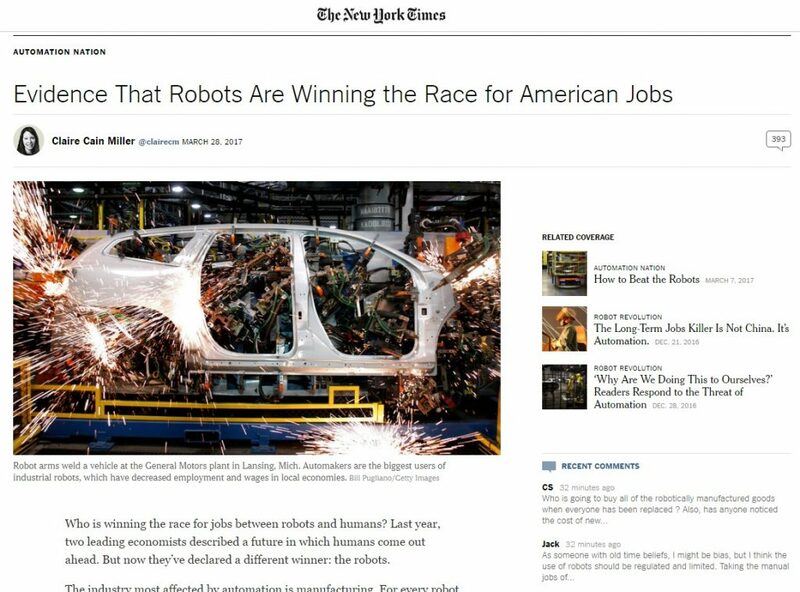 The New York Times, in the article to the right, explores the increasing negative impact that robotics are having on American jobs. The article is worth a read, and the forecast is worrisome for those of us who look ahead at the need for economic opportunity for our region’s residents, and our kids, who will be facing a very different job market than we experienced when we conducted our first job hunt. Foster growth of our region’s key industry clusters to spur greater hiring. These key industries include Aerospace, Entertainment & Digital Media, Advanced Transportation, Bioscience, and other industries in which we have regional competitive advantage and sell goods and services outside our region. Invest in our people to ensure our residents have the rights skills for the jobs created by these local industries. To learn more about this strategy, read our region’s Strategic Plan for Economic Development, and get involved with LAEDC through our industry councils and by becoming a member, to help guide the economy’s ability to create good jobs.